With over 33 years experience and expertise you could not place your wedding in better hands! I offer flexible packages which can be tailored to suit upon discussion with you. My most popular options are listed below, all of which include one of my celebrated signature albums. It is a special day and I believe you deserve the very best! Full day coverage - Bridal prep to first three dances. ALL your final images copyright free. Online Gallery. Award Winning Designer Storybook album (holds up to 100 photographs). Pre-wedding consultation, optional Engagement Shoot and plenty more! Photography coverage from ceremony arrivals to First Dance. ALL your final images copyright free. Online Gallery. Award Winning Designer Storybook album (holds up to 100 photographs). Engagement Shoot (optional) and plenty more! Photography from ceremony arrivals to Wedding Breakfast. ALL your final images copyright free. Online Gallery. Award Winning Designer Storybook album (holds up to 100 photographs). Elopement Specialist - Special rates for small weddings Monday - Friday and Elopements. Please note in fairness to all enquiries bookings are taken on a first come, first served basis. Wedding Group shots - Fast, Fun & Fabulous! All the wedding venues tell me I am the quickest photographer when it comes to doing your group photographs. I usually get them done in under 20 minutes and I do not put any limit on how many you can have. This is the difference 30 years experience and expertise will make to your Big Day! Spend more time with your guests and less time with the photographer! I specialise in beautiful, Editorial wedding photography in Edinburgh, Glasgow, the Borders and throughout Scotland. 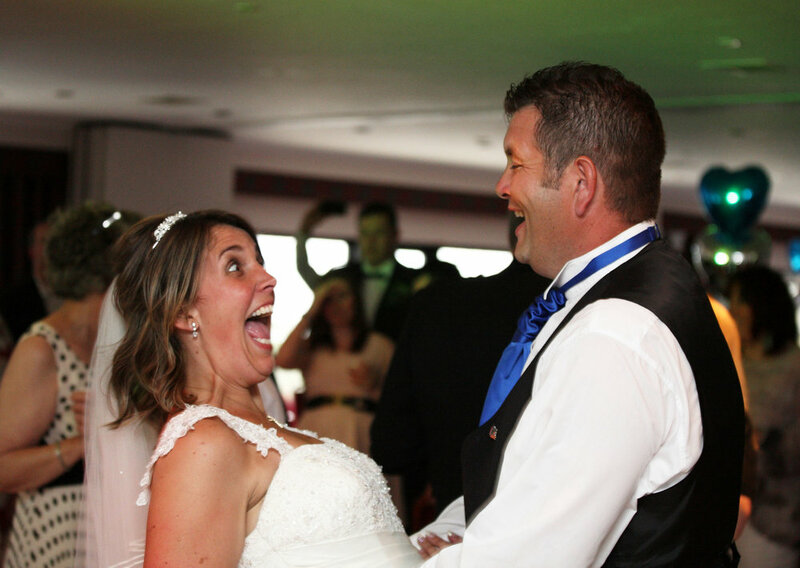 I am skilled at photographing your wedding in true photojournalistic style - with perfect timing and an artistic eye. This gives you two distinct advantages. 1) I capture all those magical moments in a natural, relaxed manner. 2) I ensure all your photographs get produced to publication standard! Can you imagine your own wedding photos looking like they came straight off the pages of a magazine? I am one of the UK's most published photographers so I can guarantee this for you! If you are currently planning a wedding and looking for a wedding photographer in Edinburgh, or indeed anywhere in Scotland, please get in touch to arrange an initial consultation.